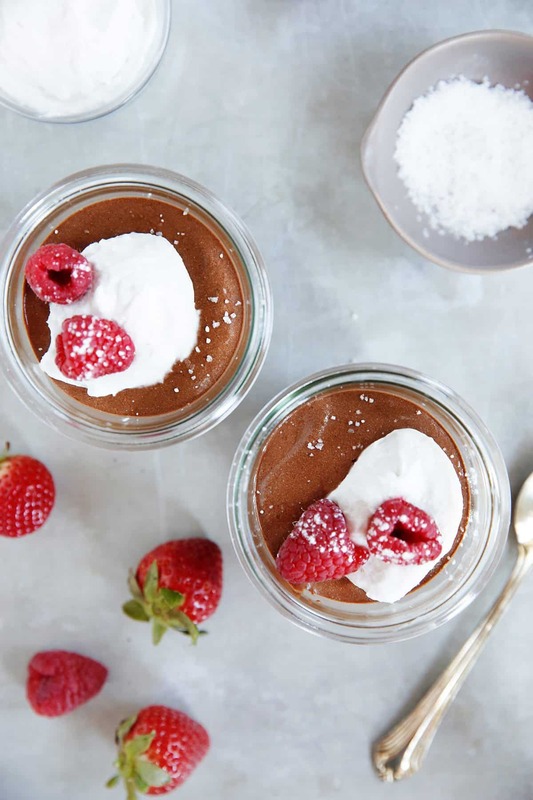 This Classic Chocolate Mousse is a rich, fluffy, French style, chocolate-y treat with just the right amount of sweetness. It will absolutely be a staple healthy dessert for holiday entertaining! Made with minimal ingredients and no baking required, everyone will love this no fuss dessert! I am super excited to partner with my friends at Enjoy Life Foods today to bring you this amazing dessert! 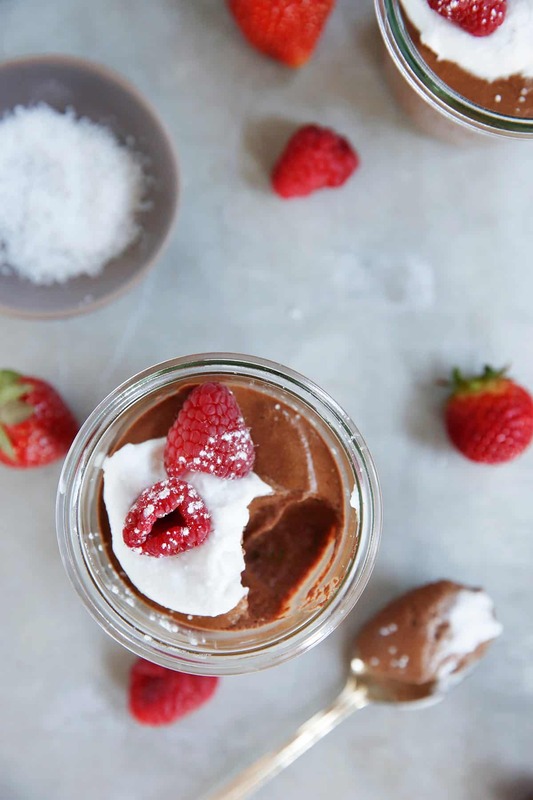 This week in the LCK test kitchen we tested tons and tons of variations of this chocolate mousse recipe until we reached the PERFECT consistency and flavor, and the hours of testing were SO WORTH IT. 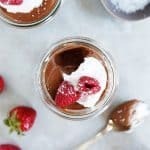 We tested the popular online avocado versions, we tested classic versions, and we ended up with the best chocolate mousse ever, and it’s made with GOOD-FOR-YOU ingredients. Dairy-free, paleo-friendly, high in protein, and essentially guilt-free! Serve it with fresh fruit, whipped coconut cream, or enjoy it all on its own! Melt chocolate using the double boiler method. Once chocolate has melted, add in cocoa powder, vanilla extract, vanilla bean, honey, espresso powder, and a pinch of sea salt and set aside. Using a stand mixer or hand mixer, beet egg whites on high until you reach a stiff peak. Pour chocolate mixture into beaten egg mixture. 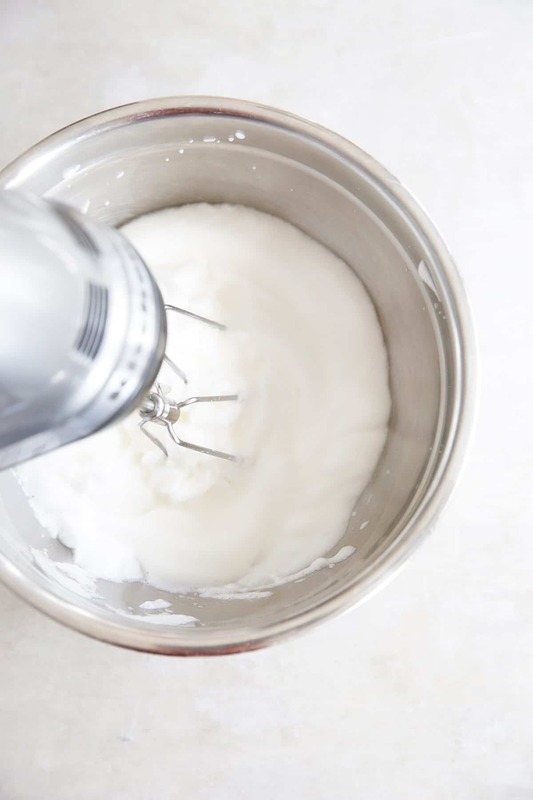 Using a stand mixer, beat the entire mixture for about 20 seconds, until chocolate is smooth and creamy looking, or just until blended (you want to avoid over mixing the egg whites). Let set for at least 30 minutes in the fridge before serving. 1. 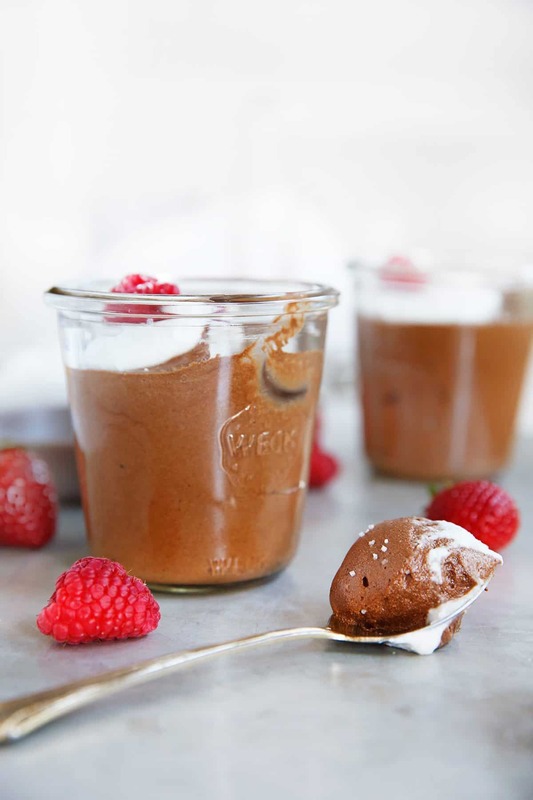 Before you place the chocolate mousse mixture in the fridge to set, it might look really thin. This is okay! Once it sets in the fridge, it will firm up and look creamy, airy, and delicious. 2. If the chocolate mixture hardens while you are beating the egg whites, place back over the double boiler until melted again. This post is sponsored by Enjoy Life Foods. All opinions are always, 100% my own! This looks great! So you can choose any of those baking chips to use? Thank you! Yes! 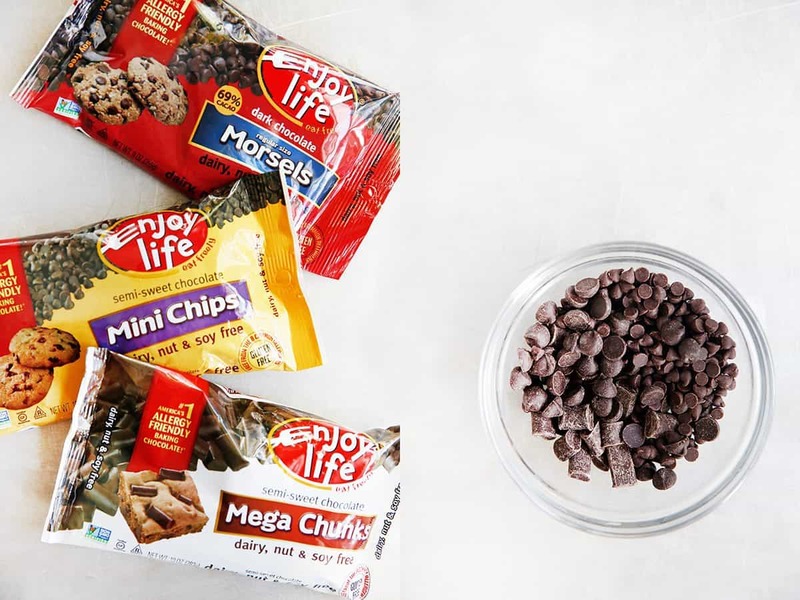 Any chocolate chips you like! Can you freeze it???? I want to make for Easter but need to make it 1 day in advanced.